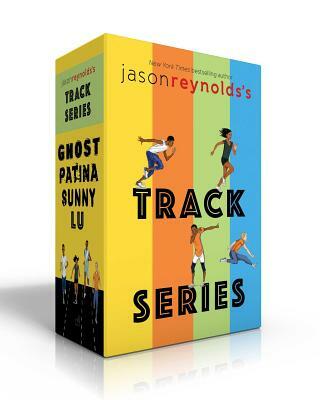 Race through Jason Reynolds’s New York Times bestselling Track series, now in a complete boxed set. Ghost. Patina. Sunny. Lu. A fast but fiery group of kids from wildly different backgrounds, chosen to compete on an elite track team. They all have a lot to lose, but they also have a lot to prove, not only to each other, but to themselves. Discover each of their stories in this complete collection of Jason Reynolds’s explosive New York Times bestselling Track series.